With almost 20 years of commercial office experience, Kevin brings an extensive background in business development, pre-construction, and project management. He specializes in meeting the needs of corporate and c-suite office development and tenant improvement projects. 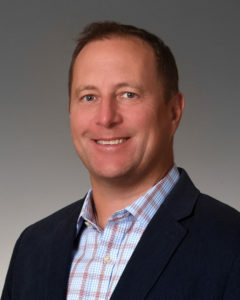 Before joining Oswald, Kevin was a partner in The Cadence Group in New Jersey, providing project management and development services to owners, developers, and tenants. Offering the unique skill set of understanding projects from the Owner's perspective, Kevin adds tremendous value to the Oswald team. Earning a BA in Geology from Miami University and a BS in Civil Engineering from the University of Cincinnati, Kevin is also LEED AP and OSHA Training certified. Are you affiliated with any nonprofit organizations? If so, which ones and to what degree (i.e. board member, volunteer, etc.)? When you’re not at the office, what do you enjoy doing? Enjoying local arts, beers and food. Listening to live music. Is there a skill or philosophy you learned while working your first job that you continue to use to this day? What expertise do you bring to the Oswald Company? I worked on the Owner side of the business, so I bring a different perspective to our Clients. As an Oswald Company employee, what has been your greatest achievement or proudest moment? I have always had a goal of working for a company that was ingrained in and impacted the community of Cincinnati. After 17 years away from Cincinnati, I was able to achieve that goal by joining Oswald Company so my proudest moment to date was my first day at Oswald.